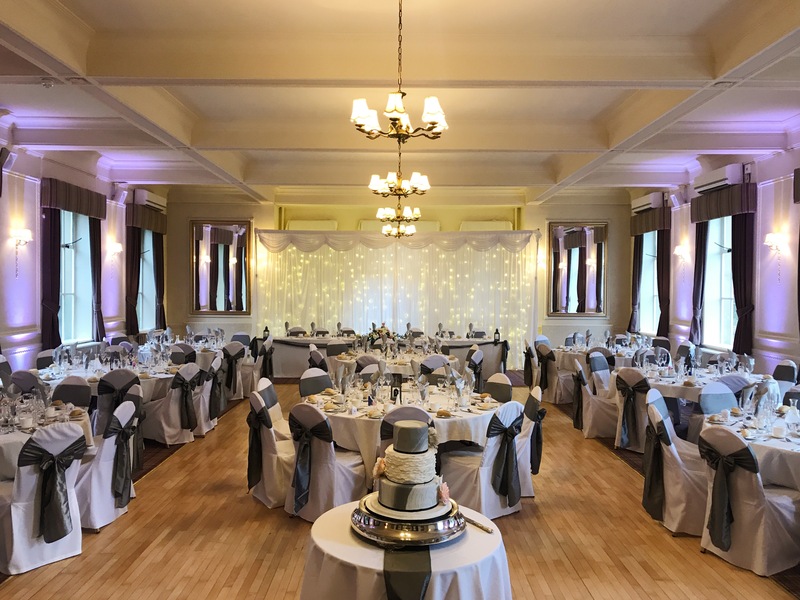 Saturday saw the first wedding of 2018 take place at Hoyle Court. The Bride and groom arrived at 2pm, instead of marrying at Hoyle Court chose a church wedding. Welcomed with arrival drinks of prosecco and bottled beers, photos were well underway in our south facing garden while canapes were enjoyed by all. With 100 guests in total, Hoyle Court was a buzz with excited guests eager to catch a glimpse of the main dining room. Fully set with our in-house chair covers and sashes, LED starlight backdrop and our LED up lights. The room was surely dressed to impress! As guests took their seats for the wedding breakfast they tucked into a starter of Leek & Potato Soup served with a savoury cheese scone. For mains, roast Pork served with vegetable parcels, Yorkshire puddings and a cider apple gravy, to finish chef’s homemade Raspberry cheesecake. 7pm and evening guests began to arrive. 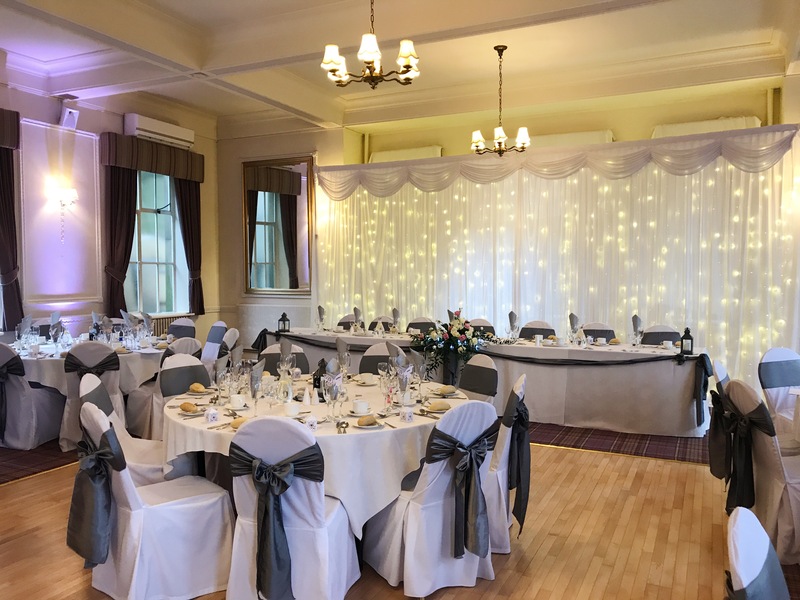 Our exclusive venue spread across 2 rooms and our interconnecting bar area allowed guests the chance to dance with our resident DJ or to take a break and relax in the quiet surroundings of our lounge area. 9pm and the evening buffet of hot roast pork, sausage and bacon sandwiches are served, with plenty of chips of course! As midnight rolled around the DJ finished the evening with the classic Mr Brightside by the killers and it was taxi’s all round. The Hoyle Court team wish this lovely couple all the best for the future.